The grant proposal which follows was submitted to the UK’s Engineering and Physical Sciences Research Council (EPSRC) on January 06 2015. We are making the proposal publicly available, as an experiment in online peer review of a grant proposal (rather than a research paper), via The Winnower and PubPeer as both sites have a fundamental commitment to open debate and discussion of academic research and ideas. The PI (PM) will blog about the progress (and ultimate fate) of the proposal at the Institute of Physics’ physicsfocus blog. Details of the format of EPSRC proposals are available here. The proposal is structured according to these guidelines (although we have forgone the requirements re. font size/type so as to produce a document in line with The Winnower’s ‘style file’). We have not provided detailed information on costings but an edited version of the “Justification of Resources” section of the proposal is included. The sections below are taken from what is known as the Joint-Electronic Submission (Je-S) form associated with the grant, the detailed Case for Support, followed by the Pathways to Impact statement, and the Justification of Resources section. Can we manipulate atoms just like we control bits of information in a computer? Could we ever build a matter compiler - a device that positions atoms, one by one, to construct a macroscopic product like a table, a computer, or even a building? In other words, could we ultimately push 3D printing all the way down to the atomic level? This is the essence of the highly controversial ”molecular manufacturing” concept put forward by Eric Drexler in the eighties, originally inspired by Richard Feynman’s thoughts on the ultimate limits of miniaturisation back in the late fifties. Drexler’s ideas were, and continue to be, widely critiqued and criticised by many (including the authors of this proposal) but at the core of his molecular manufacturing scheme is a demonstrably valid process: computer-controlled and atomically precise chemistry driven purely by mechanical force. This type of mechanochemistry is now implemented in the lab (and studied theoretically) by a small number of research groups across the world, including those involved in this proposal. Our core objective is a little less grandiose than the fabrication of a macroscopic or, indeed, microscopic object using single atom manipulation. Nonetheless, it is an exceptionally challenging goal: the fabrication of a 3D object – a nanoparticle – an atom at a time. Although there are now many impressive examples of single atom control being used to form a variety of artificial structures at surfaces – with IBM’s recent ”A Boy And His Atom” video, which has now amassed over 5M views, being a particularly elegant demonstration – to date a 3D object has not been constructed. There are very good reasons for this; extending atomic manipulation and positioning to the third spatial dimension will involve a very different approach to interacting with atoms and molecules. Developing those protocols forms the core of our proposal. It was the invention and subsequent application of a radically different type of microscope called the atomic force microscope (AFM) which enabled computer-controlled single atom mechanochemistry (of the type envisaged by Drexler) to be realised. The AFM is a microscope like no other – it doesn’t use lenses, mirrors, or any type of optical element to generate an image. Instead, an atomically sharp tip is brought close (within a few atomic diameters) to a surface. At this distance a number of important forces and interactions kick in, including, at the smallest separations, the formation of a chemical bond between the atom at the end of the tip and an atom directly underneath the probe. By scanning the tip back and forth across the surface whilst monitoring how the chemical force changes it’s possible to build up an image of a surface with not only atomic, but single bond, resolution. AFM is capable of a lot more than ‘just’ ultrahigh resolution imaging, however. The tip-sample force field can be mapped, the strength of single bonds measured, and, of key importance to this proposal, single atoms can be manipulated via chemomechanical force alone. Unlike its predecessor, the scanning tunnelling microscope, the AFM – particularly the variant we use in our research, dynamic force microscopy (DFM) – does not rely on the flow of an electrical current between tip and sample. With DFM, atoms can be moved through chemical force alone and this, along with the much higher sensitivity of DFM to the orientation and strength of single chemical bonds, has the potential to provide the exceptionally high levels of atomic-level control required to fabricate 3D nanostructures. 1. To establish the mechanisms underlying chemical contrast for small oscillation amplitude dynamic force microscopy of III-V(110) surfaces. 2. To map the force-field and potential energy landscape for III-V surfaces, with single bond resolution and with a particular emphasis on elucidating the role of tip structure. 3. To develop a set of experimental protocols, informed by density functional theory calculations, to manipulate atoms at III-V semiconductor surfaces via a variety of modes: extraction, deposition, exchange, and defect control. 4. To introduce a new type of scanning probe-driven atomic manipulation process: catalytic mechanochemistry. 5. To ascertain the extent to which Au-terminated tips can be used for catalytic mechanochemistry on III-V surfaces. 6. To determine the energy barriers associated with Au-mediated mechanochemistry at III-V surfaces. 7. To fabricate 3D structures (nanoparticles) for the first time using scanning probe-actuated atomic mannipulation. 8. [Impact]. To present regular updates on the progress of the project via social media channels (blogging, Twitter), with a particular emphasis on an analysis of, and commentary on, the scientific method as practiced in a nanoscience laboratory setting. 9. [Impact]. To develop methods of engaging new audiences via YouTube, song-writing, and video gaming. As we note in the Case For Support, the ability to fabricate three-dimensional nanostructures using single atom mechanochemistry would represent a ‘landmark’ result and would be of keen interest to the (multidisciplinary) scanning probe microscopy (SPM) community, particularly those involved in the rapidly expanding field of dynamic force microscopy (also known as non-contact AFM (NC-AFM)). Moreover, and just as with recent developments in resolving single bonds in molecules (stemming from the pioneering work of Gross et al. at IBM Zurich in 2009), the advances in probe microscopy we propose to develop will have ramifications far outside the SPM community. In addition to expanding our understanding of chemistry at the single bond level, the particular materials system on which we will focus, namely III-V semiconductors, has been a cornerstone of developments in low dimensional structures (in the context of quantum confinement) and thus our work will be of interest to a very broad community of scientists with backgrounds in the synthesis, and structural, electronic, and chemical properties of quantum dots, nanowires, and nanoparticles. The catalytic mechanochemistry aspects of our proposal will also benefit chemists (and those whose expertise lies in chemical physics) working on catalysis and related fields. The Nottingham group coordinates the 11-partner EU-funded ACRITAS (Actuation and Characterisation at the Single Bond Level) network, and the PI is also a member of the steering committee for the International NC-AFM series of conferences. (The 2016 conference, the 21st in this series, will be held in Nottingham). There are thus many routes to dissemination of our results to the SPM community. Engagement with the wider scientific community will be driven via presentations at major conferences such as the APS and MRS meetings (the PI and Kantorovich have given a number of invited talks at these meetings in recent years), through articles for magazines such as Physics World and Chemistry World (the PI has written a number of pieces for Physics World over the last few years), and, as discussed in the Pathways to Impact statement (and the Impact Summary), via social media (including blogging, YouTube, and Twitter). The inclusion of Nerlich as a co-investigator means not only that the research will be disseminated to an audience of social scientists, but that the social science community will benefit from being able to observe and comment on – via blogging and other social media channels – the development of a research project ”in real time”. While embedding a social scientist within a physical sciences research group is not a new idea, the use of social media to provide regular updates, and to invite commentary on the scientific method, has not previously been explored in a nanoscience context (to the best of our knowledge). There are four primary aspects of the impact stemming from our research (in addition to the academic beneficiaries listed in the preceding section). We summarise these four aspects below. More detail is given in the Pathways to Impact statement. 1. Social Media. 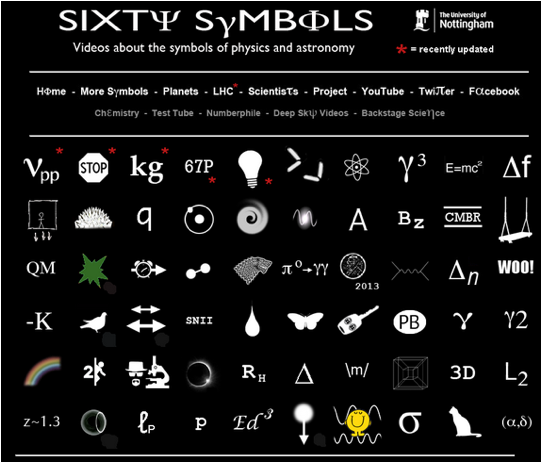 (i) Sixty Symbols. The School of Physics and Astronomy at the University of Nottingham has a long-standing collaboration with Brady Haran, a talented and prolific video journalist, on the Sixty Symbols YouTube project. Sixty Symbols is a series of short videos, which present various aspects of physics to a wide audience (the subscriber base is currently a little over 435,000, with a total of 36 million views across all of the videos). A recent article in Physics World, written by the PI, describes the motivation and aspirations for the Sixty Symbols project. Videos related to previous (EPSRC-funded) dynamic force microscopy research in the Nottingham group have attracted a total of over 230,000 views and led to very many comments being exchanged under the videos, and via e-mail. The Sixty Symbols audience is worldwide and spans a very wide range of ages, backgrounds, and educational experience, from primary school children to emeritus professors. We have requested modest funding (1K) to film a Sixty Symbols video based on the ”3D printing with atoms” premise underpinning our research. (ii) Blogging and Twitter. Both Nerlich and Moriarty blog regularly (Moriarty writes for the Institute of Physics’ physicsfocus project). They will post regular updates on both the research and the wider context of the ”scientific method in action”, throughout the project. 2. The Rock-Science interface. As discussed in the Physics World article cited above, there is a reasonably strong overlap in a Venn diagram of fans of rock music and physicists. However, more importantly – and as we have found for a previous mathematics-inspired (and mathematics-derived) song – music can be used to connect with an audience that may not previously have had any interest in (nano)science. We have therefore requested funding to support the development and recording (including a Sixty Symbols video) of a rock song based on the implications of the atom-technology research we have proposed. 3. MekNano. We propose to develop a video game based on the mechanochemistry underpinning our proposed research. The PI has already “pitched” this idea to the final year project organisers in the School of Physics and Astronomy at Nottingham, and it has been approved. Our aim is to ensure that the gameplay is realistic and based on an accurate representation of, for example, the orientation of electron orbitals during the simulated assembly process. As for items 1 and 2 above, our aim is to connect with an audience that may not necessarily have had a prior interest in scientific research. 4. Reporting Research in Real Time. Nerlich will spend two hours per week within the Nottingham Nanoscience group, to observe and report (via social media – see point 1 above) on how scientific research proceeds in a state-of-the-art project. Again, our aim is to connect to a much broader audience than is the norm for nanoscientific research. Remarkably impressive advances in imaging and manipulating matter at the atomic and, most recently, single bond, level have been made possible through scanning probe microscopy. Dynamic force microscopy, the technique at the core of our research proposal, is increasingly complementing – and, in some cases, displacing – scanning tunnelling microscopy as the tool of choice for ultrahigh resolution imaging, spectroscopy, and manipulation of single atoms and molecules. Yet although there have been a considerable number of demonstrations of controlled positioning of adsorbates, and of atomic-precision modification of reconstructed surfaces, the fabrication of a 3D object on an atom-by-atom basis has yet to be achieved. The development of 3D assembly of this type – or, as we describe it below, ‘deterministic epitaxy’ – is the primary objective of our proposed research. In essence, we aim to establish protocols for “3D printing” of nanoscopic objects using single atoms as building blocks. The PI has recently completed an EPSRC Leadership Fellowship project , which, coupled with grants from the Leverhulme Trust  and the European Commission , and through close collaboration with LK, played a major role in establishing Nottingham as a leading international presence in the field of ultrahigh vacuum (UHV) dynamic force microscopy (DFM, also called non-contact atomic force microscopy). From having no UHV DFM experience in 2008 when the fellowship started, the group has published seventeen papers (for recent highlights see Fig. 1 and discussion below) and three invited book chapters in the general area of dynamic force microscopy (with three other papers recently submitted), presented a total of 19 invited/plenary/keynote lectures at international conferences, been awarded five postdoctoral fellowships (from the Japan Society for the Promotion of Science (JSPS), Leverhulme Trust, and European Commission), and received two early career prizes, awarded to Dr. Sam Jarvis (SJ), the named researcher on this proposal. The group also has a very strong track record of public engagement and outreach – more on this below. Fig. 1 shows a number of research highlights spanning three aspects of our track record of central importance to this proposal, namely tip control and characterization , ultrahigh resolution imaging and spectroscopy , and atomic manipulation . Other key results over the last five years include the imaging of back-bonding at a semiconductor surface ,elucidating the role of orbital overlap in atomic manipulation ,and the development of strategies and protocols for the intelligent automation of probe optimization . These advances would not have been possible without the close collaboration of the Nottingham and King’s College groups. LK specializes in theoretical simulations, based on ab initio density functional theory (DFT) and Monte Carlo methods, of a variety of processes and systems of especial relevance to this proposal. In addition to the papers cited above, for which LK is a co-author (and whose expertise in DFT played an essential role in interpreting the experimental data), Kantorovich has published highly influential work in the areas of self-assembly [10,11], atomic and molecular manipulation using scanning probes [12,13], and the imaging and spectroscopy of semiconductor surfaces (including III-V systems) using DFM [14,15]. In addition to the publications, invited talks, fellowships, grants, and prizes stemming from the Nottingham-KCL collaboration on DFM research, there are a number of other indicators of the investigators’ standing in the community. These include the PI’s membership of the Steering Committee for the International NC-AFM conference series. This is the flagship meeting in the field, and it will be held in Nottingham in August 2016 (PJM, SJ, LK and Dr. Adam Sweetman (AS), a Leverhulme Trust research fellow in the group, will all be members of the Organising Committee for the Nottingham NC-AFM conference). SJ, AS and PJM have also been asked to contribute a chapter to the upcoming third volume of “Non-contact Atomic Force Microscopy” (http://www.springer.com/materials/nanotechnology/book/978-3-540-43117-6), a prestigious series of books used very widely by researchers in the field. Finally, the PI coordinates the 11-partner ACRITAS Marie Curie network  whose primary objective is to push forward the state-of-the art in scanning probe science at the single bond limit, and which incorporates many of the world-leaders in the field including Gross et al at IBM Zurich, Giessibl et al. at the University of Regensburg, and Muller et al. at ETH Zurich. The PI has a keen interest and extensive track record in public engagement and outreach. A major element of the non-academic impact of the investigators’ DFM research to date (see the Pathways to Impact statement) is their contribution to the Sixty Symbols channel (www.youtube.com/sixtysymbols), one of a number of highly successful YouTube channels from Brady Haran (www.bradyharan.com), a talented and respected video journalist. A recent article in Physics World(31), written by the PI, describes the ‘reach’ of Sixty Symbols with regard to public engagement with physics. At the time of writing the channel has slightly over 435,000 subscribers with a total of 36 million views (across 230 videos). The PI has contributed to 45 videos to date. Two Sixty Symbols videos have focused directly on DFM research carried out by the investigators, namely “An Atomic Switch” (https://www.youtube.com/watch?v=UBmBMmuUBMk) and “The Sound of Atoms Bonding” (https://www.youtube.com/watch?v=Ehw8PTA4QkE), with views to date of ∼ 60,000 and ∼ 160,000 respectively. The most recent video with which the PI has been involved (at the time of writing), “Do Atoms Ever Touch?” (https://www.youtube.com/watch?v=P0TNJrTlbBQ), also alludes to our work on measuring interatomic forces. This latter video is particularly important in the context of public engagement because it shows science as a debate and a process, rather than “received wisdom” passed down from experts. The PI also blogs regularly for the Institute of Physics’ physicsfocus project (http://physicsfocus.org/author/philipmoriarty/). A post entitled “Perplexed by Pauli” was directly motivated by DFM research, focusing as it does on the Pauli exclusion principle (directly exploited in state-of-the-art imaging, e.g. Fig. 1(d)). There is, of course, a world outside the web, and the investigators are entirely committed to more traditional forms of public engagement and outreach, including schools visits, public lectures (see, for example, http://www.tedxderby.com/speakers/philip-moriarty), A-level masterclasses, and debates. The PI also writes regularly for a number of magazines and newspapers, including the Times Higher Education, on matters relating to academia, research and teaching [17,18]. A particularly novel aspect of our proposal with regard to public engagement, however, is that a leading social scientist, Prof. Brigitte Nerlich (BN), is a member of the research team (see the Pathways to Impact section for details of this aspect of our research programme). BN leads the Making Science Public project at Nottingham, a major Leverhulme Trust-funded initiative running from 2012-2017 which has already made a significant impact on bringing together social- and natural scientists with journalists, policy ‘wonks’, members of NGOs, citizen campaign groups etc… The recent Circling the Square conference at Nottingham (http://www.nottingham.ac.uk/conference/fac-sci/circling-the-square/index.aspx), part-funded by the MSP programme, was particularly successful (and controversial) in this regard. Both BN and PJM were members of the Programme Committee for Circling the Square, and both are also members of the Management Board for Nottingham’s Science, Technology, and Society Priority Group. Our proposed research focuses on a materials system which, rather surprisingly, has received no attention to date from the qPlus dynamic force microscopy community: III-V semiconductors. Although there are a small number of silicon cantilever-based DFM studies of III-V semiconductor surfaces (see, for example, refs [19,20,21]), these were acquired with large tip oscillation amplitudes and thus are particularly sensitive to long-range electrostatic forces. Moreover, many of the papers are a decade old. qPlus DFM enables much greater sensitivity to short range chemical bonding forces and this will be essential for the exceptionally challenging ‘mechanochemistry’ (i.e. chemomechanical force-driven reactions [22,23]) experiments at the heart of our proposal. Our choice of III-V semiconductors for DFM-driven mechanochemistry – and, ultimately, mechanosynthesis, i.e. fabrication of 3D nanostructures using DFM-mediated chemistry – is motivated to some considerable extent by a series of impressive recent demonstrations of the self-assembly of GaAs nanowires using Au nanoparticles as a catalyst [24,25]. The primary objective of our proposed research, detailed in the following sections, is to exploit the Au:III-V system (and other metal:III-V combinations) as a platform for an entirely new form of scanning probe-driven manipulation of matter: mechanocatalysis. 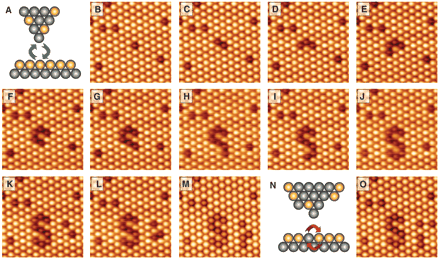 Figure 2: Interchange of Sn and Si atoms at the Sn:Si(111)- surface via tip-sample interactions at the junction of a non-contact atomic force microscope. From Suigmoto et al. .
An especially elegant example of control and fabrication at the single atom level, of particular relevance to our proposal, was reported a number of years ago by Sugimoto and co-workers . In a tour de force experiment, they showed how DFM could be used to exchange atoms between the apex of a DFM tip and an underlying silicon surface. Underpinning this method was a process they called vertical interchange manipulation. This involved ’swapping’ Sn (or Si) atoms at the Sn:Si(111)- surface with Si (or Sn) atoms at the tip apex and enabled the generation of complicated and atomically precise patterns as inlays in the Sn:Si(111)- surface. This vertical interchange process built on earlier work by the same group  where they used a complementary “lateral interchange” technique to manipulate Sn atoms embedded substitutionally in a Ge(111)-c(2x8) surface (i.e. a very dilute Sn-Ge “alloy”). What is particularly important to note for both the vertical and lateral interchange processes is that the (mechano)chemical interaction of the tip apex with the surface was exploited in each case to significantly modify the energy barriers for atomic diffusion or exchange. In the lateral interchange of Sn and Ge, for example, Sugimoto and co-workers estimated a minimum reduction of 30% in the energy barrier. The Nottingham Nanoscience group is currently attempting to develop vertical and lateral interchange protocols for the Si(100) surface and to extend these to a broader range of Group IV elements (C, Si, Ge, Sn, Pb). The initial stages of this work were funded by the PI’s Leadership Fellowship grant (until March 2014) and the Group IV mechanosynthesis project is now supported by the ACRITAS Marie Curie Initial Training Network project (www.acritas.eu). Although there are some parallels with the ACRITAS-supported project, the methodology and objectives of the work proposed here are very different indeed. Not only does the focus on III-V semiconductors in this proposal broaden DFM-driven mechanochemistry to a markedly different materials system – where the ionicity of the bonds, and associated electrostatics, will mean that the potential energy landscapes, kinetics, and thermodynamics will differ significantly from their Group IV counterparts – but the exploitation of catalytic elements opens up an entirely new form of force microscope-mediated atomic manipulation. II.B. Novelty and Timeliness. qPlus DFM is being adopted by many researchers across the world at a rather rapid rate. The sharp increase in the number of qPlus users over the last three to four years has been the result of two key factors: (i) the commercial availability of high performance and high reliability qPlus systems from Omicron and Createc (and the ‘rival’ Kolibri sensor technology supplied by SPECS), and (ii) the publication of a number of landmark papers which demonstrated the remarkable capabilities of the technique [28,29,30,31]. Despite this intense level of interest in, and adoption of, qPlus force microscopy amongst groups spanning, for example, Germany, Switzerland, the US, and Japan, the Nottingham Nanoscience group remains the only experimental research team in the UK to be active in the qPlus/small oscillation amplitude DFM field. There are thus very good arguments supporting the timeliness of the work from both the research perspective – we are proposing a radically new form of probe microscopy-driven atomic manipulation – and the international influence of UK nanoscience. Nottingham has a well-established profile in the DFM community (see “Track Record” section) and it is particularly timely to build on that presence with the research programme detailed below. As regards the novelty of the research, we reiterate that the construction of a 3D nanostructure on an atom-by-atom basis – the primary objective of our proposal – would represent a ground-breaking achievement in nanoscience. Even if this exceptionally challenging objective isn’t achieved, protocols for mechanocatalytic manipulation at the single atom level have not been developed to date. The ability to control catalysis by force applied via a DFM tip will open up many new and fascinating areas of single molecule/atom/bond science. Our research methodology combines high resolution dynamic force microscopy imaging, force-distance ‘spectroscopy’ (as it is known in the field), and atomic manipulation with state-of-the-art and computationally intensive simulations based on density functional theory (DFT). All experimental work will involve III-V(110) substrates due to both their ease of preparation via cleavage and lack of mid-gap surface states (at least for well-cleaved samples), and will be carried out under ultrahigh vacuum conditions and at a temperature of either 77 K or 5K. In line with our recent work [5,7], to eliminate thermal drift we will use an atom-tracking facility developed by Philipp Rahe and co-workers . As discussed below, the atom-tracking capability is essential in order to accurately measure force-distance curves for their subsequent comparison to those generated by DFT calculations. The research programme we propose is subdivided into four primary sub-projects: (I) Understanding Chemical Contrast on III-V Surfaces, (II) Tip “Tools” for Atomic Manipulation, (III) Catalytic Mechanochemistry, and (IV) “Deterministic Epitaxy”: Building a Nanoparticle an Atom at a Time. In the following, we outline the key objectives of each of these sub-projects. III.A. Chemical Contrast on III-V Surfaces. That DFM images have a very sensitive dependence on both the geometric structure and chemical nature of the apex of the scanning probe has been well-known from the early days of the technique. This is particularly the case for III-V semiconductors, where deliberate crashing of the tip into, for example, an InAs surface  led to large changes in the chemical specificity of the imaging process – the termination of the probe apex produced markedly different responses to the surface anions and cations. We will start our research programme with a detailed and systematic study of the role of short-range forces in atomic resolution images of cleaved GaAs(110), InP(110), and InAs(110) surfaces. As noted above, the use of qPlus DFM, with its associated ability to exploit probe oscillation amplitudes as small as 20 pm, will produce much-enhanced sensitivity to short range forces and will facilitate direct comparison of experimental force-distance curves and force-fields (see discussion below on atom-tracking-enabled ‘grid spectroscopy’) with the results of our DFT simulations of the tip-sample interaction. In addition to carrying out a detailed characterisation of Group III- and Group V-terminated tip apices (for a variety of structures, as for our previous work on Si-terminated tips ), we will also investigate the interaction of (non-Group-III-)metal-terminated tips (Au-, Mn-, and W-) with III-V surfaces. A particular goal throughout will be the identification of specific spectral signatures in the force-distance curves (and associated dissipation-distance curves) which will enable us to classify the experimental tip apices into various classes (e.g. III-terminated (“100-”,“110-”, or “111-like”), V-terminated (with a similar delineation into different orientations), III-V-terminated, As-dimer-terminated, Au-terminated, etc…). Extracting short-range force curves from the total force-distance ‘spectrum’ acquired in a DFM experiment (which also contains the long-ranged electrostatic and integrated van der Waals components) is fraught with difficulty. Without the presence of a “null” site, such as a cornerhole on the Si(111)-(7x7) surface , where there is little or no chemical interaction with the tip apex, the uncertainties associated with extracting the long-range background contribution to the probe-sample interaction via curve-fitting and extrapolation are highly significant . In the absence of this type of null site on III-V(110) surfaces (where electrostatic screening makes the use of vacancies problematic at best), we will instead adopt an approach which we successfully used to make quantitative measurements of the tip-surface interaction on H:Si(100). Figure 3: Unpublished example of atom-tracking-enabled(35) 3D force-field data acquired over the course of 29 hours at 77 K above a single C60 molecule on the Si(111)-(7x7) surface. The atom-tracking facility effectively eliminates thermal drift, enabling acquisition of the force-field (or, via integration, potential energy surface) above a single surface adsorbate or atom. Upper row (L-R): YZ slice through the 3D force field above a single C60 molecule; short-range force vs separation curve acquired at the centre of the molecule. The open circles correspond to the z-positions at which the XY slices shown in the row below were acquired. Lower row (L-R): XY slices taken at different z-heights above the molecule. This involves measuring difference force-distance curves for two different atomic sites and is thus ideally suited to the III-V surfaces which are the focus of our study. These difference curves can subsequently be compared to their counterparts simulated using DFT calculations. We shall complement the difference curve approach with the acquisition of dense 3D maps of force-fields and potential energy surfaces (see Fig. 3 and, for example, our recent force-field mapping of hydrogen-bonded assemblies described in Sweetman et al. in the vicinity of anions, cations, and surface adsorbates. The acquisition of atom-tracking enabled 3D maps will provide detailed insights into the symmetry of the potential energy surface, including, in particular, the role of orbital orientation , and this will play a key role in the next stage of our research programme: atomic manipulation. III. B. How Does Tip Termination Influence Atomic Manipulation? To date, there has been no work at all on the controlled manipulation of III-V surfaces using DFM. Scanning tunnelling microscopy, however, has been exploited to manipulate both “native” III-V substrates and adsorbates on those surfaces. A particularly elegant example is the work of Kitchen et al. , who used STM to control the placement of Mn atoms and clusters on GaAs(110) with very high precision. 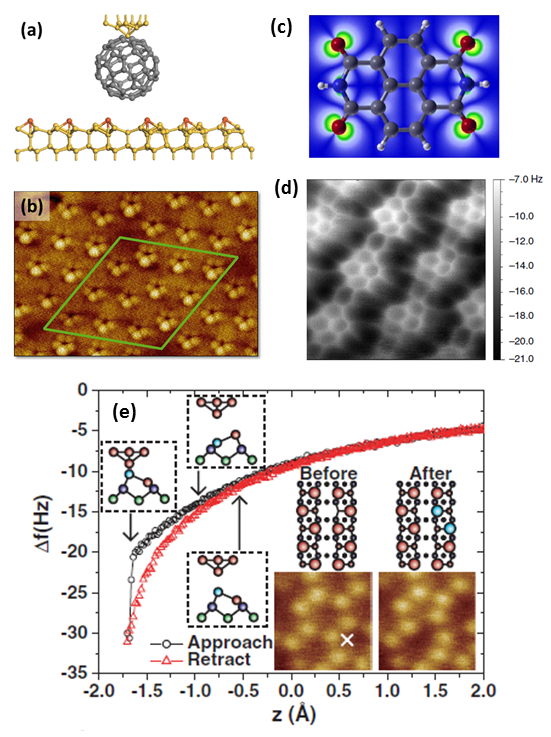 The PI, while he was a postdoc in Beton’s group at Nottingham, also exploited STM to modify the atomic structure of GaAs(111)B surfaces  using field-induced manipulation of As trimers. A number of years prior to this, Whitman et al. had shown in a landmark paper that field-induced diffusion of Cs on GaAs(110) was readily achievable using voltage pulses at the tunnel junction of an STM . In this component of our proposed research programme we will develop protocols for the controlled modification of III-V surfaces at the atomic and single bond level using DFM carried out at zero (or close-to-zero) bias, building on our previous work on single atom [6,46] and single molecule manipulation  using chemomechanical force. The key objective will be to develop a “library” of the types of atomic precision modification possible at (and in) III-V surfaces including atom removal, atom placement, atom exchange, defect positioning, dopant modification, and step edge shaping. The ability to locally modify the electrostatic environment via defect/adsorbate/dopant placement, and thus control band-bending on the otherwise flat-band III-V(110) surface, has particularly exciting prospects for adjustment of the potential energy surface “felt” by the tip apex during manipulation events. The results of Sub-Project #A outlined above will of course feed into the development of atomic manipulation protocols in this second component of the research programme. A central aspect of the DFM-actuated mechanochemistry we will pursue is the control and modification of the tip apex in order to enable, and fine-tune, particular types of manipulation event. Both preceding, and in parallel with, the experimental work we will explore the wide parameter space for atomic manipulation using DFT. Having established the groundwork via the generation of a systematic “database” of the interactions of different tip apices with III-V surfaces (which in turn underpin DFM imaging, spectroscopy, and manipulation), we shall move on to the core, and exceptionally challenging, aspect of the research programme: catalytic mechanochemistry. The growth of Au nanoparticle-seeded III-V nanowires has, as discussed in the introduction to this section of the proposal, received a great deal of attention due to the precision with which one dimensional nanostructures can be formed via self-assembly [24,25]. We will attempt to drive this catalytic process on an atom-by-atom basis using a DFM tip, i.e. to assemble small III-V clusters/nanoparticles via computer-controlled atomic trajectories, as opposed to the stochastic dynamics which underpin all epitaxial processes to date. Moreover, the formation of Au-nanoparticle-catalysed III-V nanowires is, like very many epitaxial growth processes, a far-from-equilibrium situation where the balance between thermodynamics driving the system to its ground state and the kinetics impeding that “evolution” is all-important. Au-catalysed growth of III-V nanowires involves a subtle balance between thermodynamic and kinetic quantities such as the chemical potential of the various reactants, the various surface and interface free energies, the Gibbs-Thomson effect (i.e. the dependence of chemical potential on particle size/curvature), temperature, diffusion coefficients, energy barriers etc… Dubrovskii et al.’s work on the connection between growth kinetics and the crystal orientation/structure of III-V nanowires is particularly instructive in this regard . We shall explore the efficacy of three metals (Au, Mn, Pd) as catalysts for DFM-driven catalytic chemistry on GaAs(110), InAs(110), and InP(110) surfaces. Two “archetypal” classes of mechanochemical reaction are of primary interest (and will be essential to implement if we are to progress to Sub-project IV): (i) deposition, and (ii) extraction of Group III atoms, Group V atoms, and III-V clusters. Recent DFT calculations by Sakong, Du, and Kratzer  strongly suggest that there are at least three different modes of catalytic growth: Au-mediated, Ga-mediated, and catalysis mediated by a Au-Ga alloy. Our approach to implementing these types of catalytic reaction at the single atom level will involve “inking” the DFM tip with Au (or Mn, Pd) and comparing the probability for deposition/extraction against prior control force-distance spectroscopy and manipulation experiments using a tip apex which is Group III-, or Group V-, or III-V terminated. Gold and other metals have a strong tendency to cluster on III-V(110) substrates (due to the low surface free energy), as shown by Feenstra , and Weaver and co-workers  over two decades ago. We will deposit metals while holding the substrate at 77 K to limit surface diffusion, although metallic clusters and nanoparticles will also be used to “ink” the DFM tip (and will be prepared through deposition onto the III-V substrate while it is at room temperature). The final component of our proposed research programme will bring together the knowledge and protocols developed in the preceding sub-projects to attempt, for the first time, the construction of a 3D nanostructure (in the geometric, rather than electronic confinement, sense) on an atom-by-atom (or molecule-by-molecule, e.g. single GaAs units) basis. We will do this not via sliding/pulling/pushing of adsorbates from one potential minimum to another, or through STM methods (i.e. field/inelastic tunnelling-mediated manipulation), as is currently the norm in the field, but via mechanochemistry in a strongly chemically bound system. Viewed in this light, our goal of establishing computer-driven (“deterministic”) epitaxy represents arguably the greatest challenge in scanning probe-based manipulation of condensed matter: can we build a rigidly bound three-dimensional object using a set of suitably functionalised tip tools where atomic trajectories are precisely controlled? We will aim to build a variety of homoepitaxial clusters (e.g. GaAs on GaAs) by combining the strategies outlined in sections I-III above. If successful, we will attempt the even more challenging process of mechanochemical heteroepitaxy. We will mount two different III-V semiconductors on the same sample holder (e.g. GaAs and InAs), “charge” the DFM tip apex with clusters of one type of semiconductor compound (e.g. InAs), and then return to the growth substrate (in this case GaAs(110)) in order to build an InAs cluster on the GaAs support. If successful, and we reiterate that this is by far the most speculative aspect of our proposal, there are extremely exciting prospects for the construction of “bespoke” low dimensional confinement potentials for electrons and holes in III-V systems. Although outside the scope of this proposal, there is also the tantalising prospect of being able to incorporate controlled manipulation of dopant atoms (building on Koenraad et al.’s pioneering work on Mn placement using STM) and thus engineer atomically precise – and most probably kinetically limited – architectures for carrier confinement. Our proposed research programme, if successful, would represent a “landmark” result in the manipulation of condensed matter and has the potential to open up an entirely new sub-field of scanning probe microscopy focussed on the fabrication of (non-equilibrium) semiconductor nanostructures. A raft of fundamental questions could be addressed with regard to the detailed atomistic and nanoscale thermodynamic/statistical mechanics properties of artificial structures created very far from equilibrium. This capability would, just as for recent developments in dynamic force microscopy related to imaging in the so-called “Pauli exclusion regime” , have implications and influence far outside the scanning probe microscopy field. In particular, it would enable the generation of a class of artificial structure outside the capabilities of even the most sophisticated molecular beam epitaxy techniques or lithographic techniques. As such, our proposal will likely be of particular interest to condensed matter physicists and chemists, the semiconductor growth and device communities, nanoscientists in a range of fields including self-assembly and directed assembly, and theorists interested in modelling matter on atomistic and nanoscopic length scales. Our experimental DFM force-fields and potential energy surfaces, and, indeed, our research programme in general will serve as a particularly stringent test of the predictive power of density functional theory. As outlined in the Track Record and Pathways to Impact sections, the investigators have significant experience of a variety of forms of dissemination to academic and non-academic audiences. We will, of course, continue to publish - or at least aspire to publish - in prestigious journals. With regard to the academic sphere, the ACRITAS network (www.acritas.eu) which the PI coordinates involves eleven internationally leading atomic force microscopy groups including IBM Zurich, arguably the world-leaders in the field. Moreover, Nottingham will host the 2016 International NC-AFM conference – the flagship meeting in the field. The PI is also a member of the Royal Microscopical Society’s Scanning Probe Committee. There are thus a considerable number of channels available for dissemination of the results stemming from the proposed research to the investigators’ field of research. Outside the scanning probe microscopy community, the PI and LK are regularly invited to nanoscience and condensed matter physics conferences (and related symposia at major general physics/materials conferences such as the APS and MRS meetings). This provides an opportunity for dissemination of our results to the broader academic and scientific communities. Moreover, the PI has written about DFM research for a variety of journals and magazines with a very much different, or substantially broader, audience than the nanoscience/SPM communities [52,53]. In addition, and as discussed in the Pathways to Impact statement in significantly more detail, the PI (and BN) also regularly blog about research-related matters. The research we propose is unashamedly curiosity-driven fundamental science. As such, it is motivated not by the potential for direct short-term economic impact (via, for example, spin-off technology) – and it would be disingenuous of us to suggest otherwise – but by the fascination, importance, and challenges of the underlying science. As such, a key non-academic impact of our work lies in public engagement. The Pathways to Impact statement details the novel aspects of our proposed research which build on, and considerably enhance, our already strong track record in outreach and engagement with a variety of publics. Nonthetless, our proposed research falls under the banner of a considerable number of EPSRC’s priority areas including Condensed Matter Physics, Catalysis, Materials Characterisation/Technologies, and Novel & Efficient Chemical Synthesis. This latter theme encompasses the Directed Assembly EPSRC Grand Challenge. The PI has been an invited speaker for two workshops organised by the Directed Assembly network. We reiterate that the Nottingham group remains the only UK experimental research team active in the area of qPlus dynamic force microscopy, and maintains a strong international presence. This is a rapidly expanding sub-field of state-of-the-art nanoscience and it is essential that the UK retains as strong a presence as possible in this area. When the Nottingham group’s experimental expertise is combined with the internationally-leading reputation of LK’s group at King’s College, there is considerable national benefit in the research we propose as it has the potential to considerably strengthen the UK’s profile in the modification of matter at the atomic and (sub)molecular levels, complementing the impressive STM-driven manipulation work carried out by a number of other UK groups. Finally, a societal and economic benefit of academic research which is too often overlooked is that, by providing an internationally competitive/leading environment for early career scientists such as Dr. Jarvis, fundamental science makes a major contribution to what David Willetts, the erstwhile Universities and Science Minister, called the “absorptive capacity” of UK society. In truth, this is the primary economic benefit of academic research . Digital Matter? : Towards Mechanised Mechanosynthesis, P. Moriarty, Leadership Fellowship EP/G007837/1 (2008-2014). Mapping molecular force elds and energy landscapes with picometre resolution, P. Moriarty (PI), L.
Kantorovich, P. Beton, and N. Krasnogor, Leverhulme Trust Research Project Grant (2011-2014). ACRITAS, Marie Curie Initial Training Network, 11 partners, 13 Associate partners. www.acritas.eu (2012-2016). C. Chiutu et al., Phys. Rev. Lett. 108, 268302 (2012). A. M. Sweetman et al., Nature Comms. , 3931 (2014). A. Sweetman et al., Phys. Rev. Lett. 106, 136101 (2011). A. Sweetman, P. Rahe, and P. Moriarty, Nano Letts. 14, 2265 (2014). S. Jarvis, A. Sweetman, J. Bamidele, L. Kantorovich, and P. Moriarty, Phys. Rev. B 85, 235305 (2012). R. Otero et al., Science 319, 312 (2008). M. Mura et al., Phys. Chem. Chem. Phys. 12, 4759 (2010). D. Kelling et al., Phys. Rev. Lett. 94, 1q46104 (2005). T. Trevethan et al., Phys. Rev. Lett. 98, 028101 (2007). Y. Li et al., Phys. Rev. Lett. 96, 106104 (2006). D. Toton et al., J. Phys. Cond. Matt. 22, 265001 (2010). P. Moriarty, PhysicsWorld, (http://www.nottingham.ac.uk/~ppzstm/pdfs/Moriarty_youtube.pdf)27, 31 (2014). P. Moriarty, Times Higher Education, 18 April 2013; ibid 4 Sept. 2014 . P. Moriarty, The Economist (online), http://www.economist.com/debate/days/view/867 (2012). G. Goryl et al., Surf. Sci. 601, 3605 (2007). J. J. Kolodziej et al., Appl. Surf. Sci. 252, 7614 (2006). N. Uehara, H. Hosoi, K. Sueoka, and K. Mukasa, Jpn. J. Appl. Phys. Part 1 43, 4676 (2004). J. Ribas-Arino and D. Marx, Chem. Rev. 112, 5412 (2012). S. L. James and T. Friscic, Chem. Comm. 49, 5349 (2013). P. Kratzer, S. Sakong, and V. Pankoke, Nano Lett. 12, 943 (2012). V. G. Dubrovskii, N. V. Sibirev, J. C. Harmand, and F. Glas, Phys. Rev. B 78, 235301 (2008). Y. Sugimoto et al., Science 322, 413 (2008). Y. Sugimoto et al., Nature Materials 4, 156 (2005). L. Gross, F. Mohn, N. Moll, P. Liljeroth, and G. Meyer, Science 325, 1110 (2009). L. Gross et al., Science 337, 1326 (2012). A. Riss et al., Nano Lett. 14, 2251 (2014). D. de Oteyza et al., Science 340, 1434 (2013). P. Rahe et al., Rev. Sci. Instr. 82, 063704 (2011). P. Hapala et al., Phys. Rev. B 90, 085421 (2014). A. Schwarz, W. Allers, U. Schwarz, and R. Wiesendanger, Phys. Rev. B 61, 2837 (2000). S. P. Jarvis, L. Kantorovich, and P. Moriarty, Beilstein J. Nanotech. 4, 941 (2013). M. Lantz et al., 291, 2580 (2001). A. Sweetman and A. Stannard, Beilstein J. Nanotech. 5, 386 (2014). P. Sharp et al., Appl. Phys. Lett. 100, 233120 (2012). D. Kitchen et al., Nature 442, 436 (2006). P. Moriarty, P. Beton, and D. Woolf, Appl. Phys. Lett. 66, 1515 (1995). P. Moriarty et al., Phys. Rev. B 50, 14237 (1994). B. Murphy et al., Surf. Sci. 317, 73 (1994). P. Moriarty, P. Beton, Y. Ma, and M. Henini, Phys. Rev. B 53, 16148 (1996). P. Moriarty, P. Beton, and D. Woolf, Phys. Rev. B 51, 7950 (1995). L. Whitman, J. Stroscio, R. Dragoset, and R. Celotta, Science 251, 1206 (1991). A. Sweetman et al., Phys. Rev. B 84, 085426 (2011). S. Jarvis et al., In preparation . S. Sakong, Y. A. Du, and P. Kratzer, Phys. Rev. B 88, 155309 (2013). R. Feenstra, Phys. Rev. Lett. 63, 1412 (1989). R. Trafas, Y. Yang, R. Siefert, and J. Weaver, Phys. Rev. B 43, 14107 (1991). 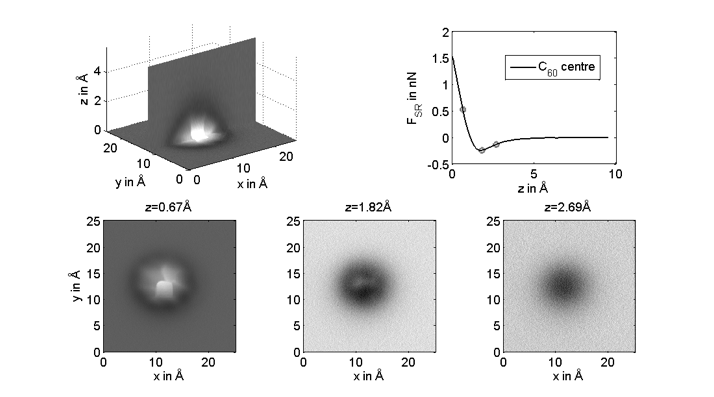 S. Jarvis et al., Chapter in Imaging and Manipulation of Adsorbates using Dynamic Force Microscopy, to be published (2014). P. Moriarty, Leonardo 49, 64 (2014). P. Moriarty, Physics World 23, 29 (2010). The PI is extremely committed to public engagement and, with Samuel Jarvis (SJ) and Brigitte Nerlich (BN), actively contributes to a thriving outreach culture at the University of Nottingham [1-3]. He has, however, also been a vocal and persistent critic of the Pathways to Impact statement and associated National Importance requirement for quite some time. Following the introduction of the former in 2009, the PI withdrew from reviewing – and therefore submitting – research proposals to EPSRC, as explained in [4-8]. The reasons for the PIs U-turn on submitting EPSRC proposals (i.e. the submission of this application) are described in a very recent article in Physics World  but can be summarised as follows. In a considerable number of presentations, debates, and discussions (in a variety of venues, including Westminster ) with EPSRC and RCUK representatives, the argument has been consistently voiced by the research councils that Pathways to Impact and National Importance are not about skewing funding towards more near-term/near-market R&D; the claim is that support for fundamental research, with no direct industry/economic impact, remains as high as it ever was. This proposal, and its associated Pathways to Impact and National Importance statements, is being submitted on the basis of those assertions. As described in the Case for Support, the work is unashamedly fundamental science and the programme of research was developed with no potential commercial user-base in mind. As such, our pathways to impact are exclusively public engagement-related. The School of Physics & Astronomy at Nottingham collaborates with Brady Haran (www.bradyharan.com), an independent video-journalist, on the Sixty Symbols YouTube project . Since the first video was uploaded in 2009, Sixty Symbols has attracted a subscriber base of more than 450,000 viewers and the 235 videos at the channel have collectively been viewed over 34 million times. Sixty Symbols, and other edutainment channels in the same vein, not only provide a platform for public engagement with global reach but, as is perhaps not always recognised, they also enable well-informed two-way debate and discussion about research and the role of science in society via comments threads under the video and at sites such as Reddit. As described in the Case for Support, two previous Sixty Symbols videos have focussed on single atom manipulation  and molecular imaging/spectroscopy  research from the Nottingham-KCL collaboration. These have attracted over 230,000 views to date between them, and have generated many hundreds of comments. The mechanosynthesis research described in the Case for Support “in particular, the 3D printing with atoms theme” is also likely to generate significant interest from the Sixty Symbols audience, and well beyond. We are therefore requiring a relatively modest level of funding (1K) to support the filming and editing of a Sixty Symbols video which will focus on the atomic 3D printing aspects of the work. The PI and BN are both frequent bloggers and tweeters and will publicise the video and, as described below, the research in general via these (and other) social, and traditional, media channels. As part of the Leadership Fellowship award discussed in the Case for Support, the PI had asked EPSRC whether filming a rock music video (where the music and lyrics derived from the fellowship research) was an acceptable use of funds. This suggestion was warmly welcomed by EPSRC. The video and associated song were to be along the lines of the successful (∼ 410,000 views to date) golden ratio video created for Harans Numberphile channel (with David Brown) . Unfortunately, the Leadership Fellowship finished before the video could be filmed (largely because there were significant scheduling issues due to Harans relocation to Bristol last year.) We remain committed to the idea, however, and would base the lyrics and the overall concept of the song around mechanochemistry and the more sci-fi elements of nanotechnology (nanobots, nanoswarms, etc). In this case, the overall costs would be higher (due to the music production elements) and so we are requesting 3K. Our motivation for presenting science via the medium of rock music is explained in Ref. 1 – it is clear from our previous work with Haran that this is an effective way of connecting with an audience that may not have previously considered science as interesting. The PI was a member of the Giants Of The Infinitesimal consortium funded by EPSRCs Partnerships for Public Engagement scheme from 2009 - 2013. As part of this collaboration between sculptors and scientists, an arcade game console based on probe microscope-directed construction of a nanowire was devised, designed and constructed. This was a centrepiece of the Giants exhibition and proved to be very popular with schoolchildren. We propose to extend this gaming concept to the development of a computer game/app, tentatively titled MekNano, which would use the fundamental mechanosynthesis ideas outlined in the Case for Support as the basis of the gameplay. Real physics and chemistry for example, players will have to take account of the shapes of atomic orbitals and the direction of dangling bonds - will be embedded in the game design. SJs expertise with generating striking graphics (see figure above) – from the simulations he carries out in close collaboration with LK – will play an important role in the development of the game. We envisage that the concepts and the overall design will be put in place as part of a 4th year MSci project scheduled for 2016 and we request relatively modest costs of 1500 to support accommodation and travel costs for those students (with SJ) to visit LKs group in order to develop their knowledge and understanding of scanning probe simulations. We propose to carry out an intriguing social science experiment in which a social scientist, BN, will be embedded within the Nottingham Nanoscience-KCL research team for up to two hours per week (on average). We will use social media (blogging, Twitter, YouTube) to provide pseudo-real-time updates on the evolution of the project and, more importantly, to provide a mechanism for key insights into the scientific method. (It is perhaps worth noting that the PI currently teaches a Year 4 module entitled “The Philosophy, Politics and Perception of Physics” where at the start of the module only five Physics MSci students out of a class of 40 had heard of Kuhn, Popper, or Sokal). BN is Professor of Science, Language, and Society at the Institute for Science and Society (in the School of Sociology and Social Policy) at Nottingham. Her current research, mainly funded by the Economic and Social Research Council and the Leverhulme Trust, focuses on the cultural and political contexts in which metaphors and other framing devices are used in the public, policy and scientific debates about emerging technologies, emerging diseases, as well as climate change. She is a member of the Academy of Social Sciences and, as outlined in the Case for Support, leads the 1M Leverhulme Trust Making Science Public project at Nottingham , which played a major role in organising the recent highly successful Circling the Square: Research, Politics, Media, and Impact conference . We are requesting funding for two hours of BN time per week. Given the close interplay of experiment and theory outlined in the Case for Support, our proposed research necessitates a postdoctoral researcher who is skilled in both experimental and theoretical dynamic force microscopy (DFM). Dr. Samuel Jarvis (SJ), the named postdoctoral researcher on our proposal, is one of very few early career DFM researchers in the world who has this blend of skills. The norm in the DFM field (and, indeed, throughout nanoscience) is that experimentalists do experiments and theorists do theory, usually with very little crossover. From a variety of academic and non-academic perspectives, however, there is immense value in having an individual early career researcher carrying out both experimental and theoretical work. The Nanoscience Group at Nottingham has, for a number of years, aimed to foster this type of hybrid experiment-theory approach in PhD and postdoctoral research. (See, for example, www.acritas.eu). Throughout his short research career to date (he completed his PhD in 2012), SJ has very successfully combined challenging experimental work with state-of-the-art density functional theory (DFT) calculations (in close collaboration with LK). This combination of experimental and theoretical expertise is rare, but extremely valuable, and demonstrates both a high level of technical ability, and a high level of dedication and commitment to performing outstanding research at the highest level. It is also worth reiterating that the Nottingham group remains the only SPM team in the UK to be active in the area of experimental qPlus dynamic force microscopy and to be equipped with two ultrahigh vacuum low temperature qPlus systems. Moreover, the group (particularly SJ) makes extensive use of Nottinghams High Performance Computing Facility for systematic and computationally-intensive DFT calculations. The research environment is thus very well-matched to the project aims and to SJs expertise. We are therefore requesting 42 months of PDRA funding for Dr. Jarvis. His involvement will be essential if the project is to obtain its objectives on the timescale of the proposed project. SJ will jointly supervise (with the PI) a PhD student, Filipe Junqueira, who is scheduled to begin a PhD at Nottingham in August 2015. We are requesting six hours/week of the PIs time, three hours/week of LKs time, and two hours/per week of BNs time. The PI will be responsible for overall project management and coordination, and will also aim to spend a small amount of time per week on hands-on experimental research. LK will have responsibility for coordinating and managing the theoretical aspects of the programme, in collaboration with SJ and the PI. As discussed in the Pathways to Impact statement, BN will spend on average two hours per week as a visitor to the Nanoscience group, observing both the scientific meetings and the day-to-day research. Her role will be to document how the project evolves in the context of the scientific method and to probe/challenge the scientists behavioural norms – to what extent are the scientists constrained by ‘peer pressure’ in their choice of research methods/literature/theoretical techniques? We are applying for funding for SJ, LK, and the PI to attend the annual International NC-AFM conference in 2016 and 2017. (We are unlikely to have generated sufficient results associated with the Deterministic Epitaxy project to be able to present the work at the 2015 NC-AFM conference). This is the foremost conference in the DFM field and, in our experience, is always a valuable meeting to attend “there is always lively debate and discussion, and often collaborations have stemmed from interactions at the meeting. The meeting will be held in Nottingham in 2016 so costs will be particularly low. (We request travel, accommodation, and registration costs only for LK for the Nottingham NC-AFM conference (1K). SJ and the PI are members of the local organising committee and will have the registration fee waived). The venue of the 2017 conference is yet to be decided but is very likely to be the US, rather than Europe. This will of course increase the costs, which we estimate (on the basis of the 2013 NC-AFM conference in Washington) to be 4.8K in total for all three researchers. We also request funding for SJ to attend an MRS meeting in the US, to present the results of the project to a broader audience. We estimate the costs of travel, accommodation, and registration as 1.6K. The social science aspects of the research programme will be disseminated via blogging and other social media channels, but will also be presented at the annual Circling the Square conference in Nottingham. (The first, and very successful, Circling the Square conference was held in Nottingham in May 2014. See http://www.nottingham.ac.uk/conference/fac-sci/circling-the-square/ctsq-2014/index.aspx ). We are not applying for the minimal costs of attending the Circling the Square conference, but would like to request 1.5K towards attendance at an annual Society for Social Studies of Science (4S) conference. In addition, we request 1.5K for the costs of SJs attendance at national conferences and workshops (such as the biennial Interdisciplinary Surface Science Conference, and the annual UK SPM meeting), and 1.0K for the costs of accommodation and travel to London to visit LKs group. Our major consumable cost is liquid helium. We estimate that 30 litres of liquid helium per week for 30 weeks per year will be required (on the basis of previous usage). We also request funding for one box of qPlus sensors per year (4,450); liquid nitrogen (4.5K); ultrahigh vacuum consumables (gaskets, feedthroughs, replacement filaments) at a total cost of 5.5K; and III-V samples (1.5K). In addition, we are requesting funds for the repair of the heating element in the stage of our low temperature AFM-STM. Omicron has quoted a figure of 3,690 for the repair. As discussed in the Pathways to Impact statement, we request funding for the following aspects of public engagement and social science-physical sciences crossover: 1K for a Sixty Symbols video based on the deterministic epitaxy/3d printing with atoms concept and results; 3K for the development of a nanotech-inspired rock song and associated video; 1500 towards the scoping and initial development of a computer game/app based on the mechanochemistry ideas underpinning the proposal; and two hours per week of BNs time. We request a modest amount of funding of technical support (20% of a pool technician) to support maintenance of the components and pumps of our ultrahigh vacuum systems.